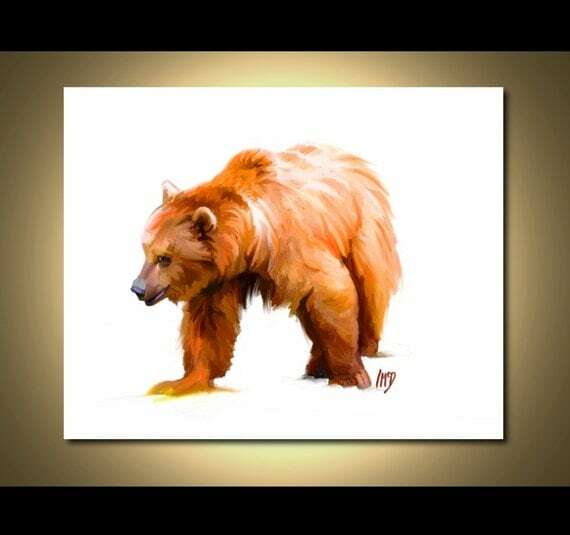 A warm and colourful Grizzly Bear art print measuring 8″x10″. Available on my Etsy store. My name is Iain McDonald, I've been painting since early 1990's & professionally since 2003, and selling portraits from www.Portrait-Online.com since 2004. Every single portrait on this site was painted by me - no cookie-cutter portraits by nameless artists here! All images copyright © Iain McDonald. All Rights Reserved. All paintings, digital oil and acrylic, Copyright © Iain McDonald. All rights reserved. All unauthorized reproduction of artwork constitutes infringement of copyright.